André Masson. Automatic Drawing. (1924). 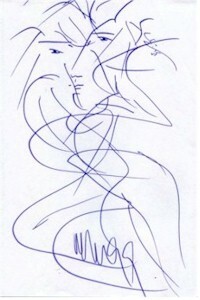 Ink on paper, 91⁄4 × 81⁄8″ (23.5 × 20.6 cm). Museum of Modern Art, New York. Andre Breton described surrealism as “pure psychic automatism.” It began in reference to writing and is served as a basis to the movement. Breton with Phillippe Soupault wrote the first automatic book, Les Champs Magnetiques, and The Automatic Message was one of Breton’s theoretical works about automatism. Interesting post on the Automatic Message on Ars Poetica #3: André Breton’s The Automatic Message. As mentioned in a previous post, automatism was central to Paul-Emile Borduas and the Automatistes. Though the process began as writing it is drawing and the shift to painting that interests me the most. 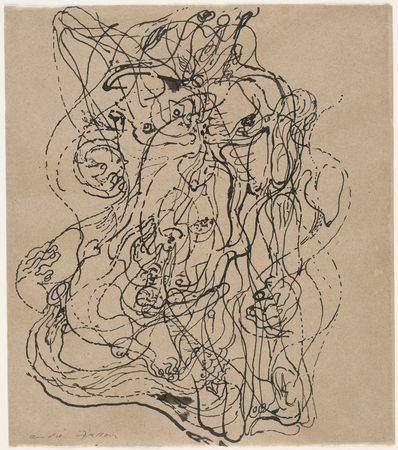 Andre Masson was one of the pioneers of automatic drawing with Jean Arp and Joan Miro working it into their practice. These two are the artists I associate more with the foundations of surrealism. Dali and Breton also were known to work through automatic drawing, but the surrealism of Dali who most associate the movement is of less interest to me and takes the movement in a different direction. Automatic writing has been helpful to me as writing is where I most struggle. As you can likely tell from the copy on this blog writing is not a strong suit, so simply putting words on paper has made me more comfortable (though not necessarily better) in my writing. Rereading the words also ignites my interest in language and wordplay. This is perhaps a lead in for a series of posts on this blog as well. Drawing is where I find my art practice returning to often and I tend to straddle the line between pure automatism (reflected in Masson’s drawing above) and wandering into conscious representational imagery. Something like this automatic drawing by Jean Arp. 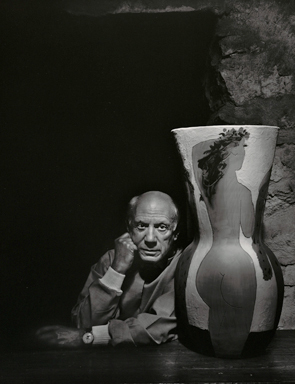 Yousuf Karsh, “Pablo Picasso,” 1954. Gelatin silver print, 19 ½ x 15 ¾ in. Crocker Art Museum. Gift of Rex Backman.